On 14 and 15 May, the FUST Ocean Event celebrated 20 years of cooperation between Flanders and UNESCO in ocean matters. In 1998 the Government of Flanders signed a general cooperation agreement with UNESCO to achieve common global objectives. A year later Flanders approved the first 5-year agreement on the UNESCO/Flanders Fund-in-Trust for the support of UNESCO activities in the field of Science (FUST). Since then 3 additional agreements have been signed. Under these agreements Flanders provides support for projects by UNESCO International Hydrological Programme (IHP), Man and Biosphere Programme (MAB) and the Intergovernmental Oceanographic Commission (IOC). Through the FUST Flanders contributes to a sustainable future for the Ocean and coastal areas. 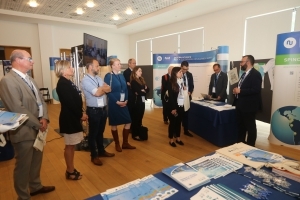 The FUST Ocean event, attended by 130 participants, included a guided exhibition and four seminars providing the opportunity to highlight achievements that were enabled through the FUST. The on-going projects in ocean matters demonstrated their achievements, while reference was made to the Flemish expertise in water management as a valuable asset in the context of global climate change action. The FUST Ocean guided-exhibition (14-17 May, at the Herman Teirlinck building, Brussels), visited by approximately 250 persons, was freely accessible to researchers, governmental institutions, and the interested public at large. The event was co-organized by the IOC-UNESCO, the Department of Economy, Science and Innovation (EWI) and the Flanders Marine Institute (VLIZ). The FUST Ocean event allowed to showcase the achievements made possible by FUST in the field of research and training such as: the 'OceanTeacher Global Academy’ (OTGA), IOC's flagship project for marine capacity development, the Caribbean Marine Atlas (CMA2), the Southeast Pacific data and information network in support to integrated coastal area management (SPINCAM), the Man and Biosphere reserves in the coastal and marine areas of the Southeast Pacific region (BRESEP), and the Development of Information Products and Services for assessing the status of the ocean (DIPS). The FUST projects also demonstrated approaches in horizontal collaboration between projects and programmes (e.g. MAB and IOC), achieving impact at a higher level. The FUST projects opened the discussion on topics for future collaboration in ocean science and sustainable development. The FUST Ocean Event brought together experts on ocean science and sustainability to debate how they can collaborate to match ocean research to societal needs. Keynote speakers from public administrations provided an overview of the research and funding landscape in Flanders, and how the current instruments and mechanisms for international collaboration can support the FUST and wider objectives for a sustainable Ocean (EWI, FWO-International, VLIR-UOS). Invited speakers from research and academia presented on-going initiatives that provide a platform for current and future collaboration in ocean science and policy, such as ocean observing systems and services/remote sensing, data and information services and products, environmental impacts of deep-sea mining (VITO, VLIZ, VLIZ Marine Data Centre, Flanders Compendium for Coast and Sea, UGent/JPI-Oceans, (Eur)OBIS, HAEDAT..). Partner institutions and project consortia presented needs, opportunities, and potential areas for collaboration in ocean and coastal research disciplines (CPPS Ocean Science agenda, MAB, IOC and the Global Ocean Science Report, World Ocean Assessment, the UN Decade of Ocean Science for Sustainable development,..). In a panel session, representatives of Flanders universities presented the current international collaboration mechanisms in ocean and/or other relevant areas (climate, capacity development including training, coastal ecosystem management..) and reflected on the opportunities for a more structured collaboration through/with FUST (VUB Brussels, KULeuven, UGent, UHasselt, UAntwerpen). Consult the Programme and presentations. Visit the event Photo Gallery. 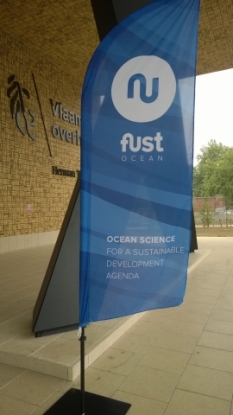 The FUST ocean event created an increased awareness on the contribution of Flanders to global ocean science, products and services, and the potential platform it provides for further collaboration. FUST is currently under review (phase IV). The current evaluation provides an opportunity to explore how FUST can create new or enhanced opportunities for international cooperation in ocean science and capacity building with special attention to collaboration with universities and institutions in Flanders. Project proposals are submitted by UNESCO and framed by the strategic objectives of the UNESCO programmes (IOC, MAB, IHP). However, the FUST mechanism does stimulate project proponents and coordinators to explore how expertise from Flanders can be taken on board to the benefit of both parties and create long-term collaborations with partners in Flanders. 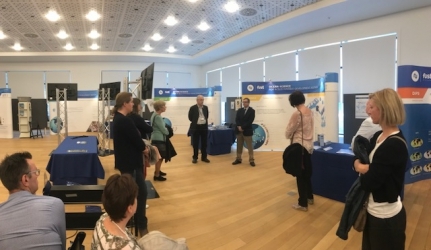 During the FUST Ocean event, new networks and contacts were established between the UNESCO and Flanders communities in (ocean) science and capacity development. These new contacts can take many forms and shapes, some of them extending beyond the FUST, but all contributing to consolidating and shaping the future the collaboration between Flanders and UNESCO in the context of the FUST trust fund. During the afternoon guided tours through the Trade Fair as well as networking opportunities were organised. 10:30 - 13:00: Seminar 2 - FUST Ocean meets Flanders Academia. Moderator Mr Gert Verreet, EWI-Flanders.